/ Modified aug 22, 2018 2:29 p.m.
Google Street View image of the Los Angeles Herald Examiner Building. 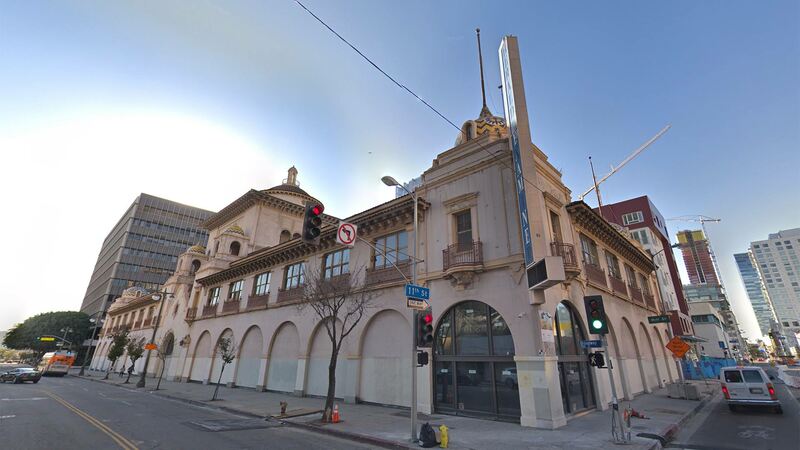 LOS ANGELES — The ornate former headquarters of the defunct Los Angeles Herald Examiner will be renovated for an expansion of Arizona State University. "Not only does the building illuminate the city's rich history dating back more than a century, we look forward to our presence there to play an important role in adding to the downtown's intellectual, cultural and economic vibrancy," ASU President Michael Crow said in a statement. The Walter Cronkite School of Journalism and Mass Communications and Herberger Institute for Design and the Arts will hold classes at the building, the university said. The landmark, located in the rapidly transforming South Broadway neighborhood, is in a mix of Mission Revival and Spanish Colonial Revival styles. It is known for its two-story lobby, which is decorated with hand-painted tiles, detailed iron grill work, carved wood, marble and gold. Renovation will include a mix of restaurants and retail on the first floor with classroom and office space on the upper floors. Media mogul William Randolph Hearst founded the Los Angeles Examiner in 1903 and the building was completed in 1914. The newspaper, which ultimately became the Herald Examiner, shut down in 1989. New York real estate developer Georgetown Co. led the purchase of the building in 2015 from Hearst. It was jointly owned by Hearst, Georgetown Co. and Main Street before an affiliate of ASU became part-owner. The university will occupy the bulk of the more than 100,000-square-foot building when it opens in 2020.